Most flowering trees set their blossoms the year before they bloom. Therefore, they won’t bloom if these flower buds are trimmed off the tree. The best rule is to always trim flowering trees within 3 weeks of when they finish blooming. That should prevent you from inadvertently removing buds containing next year’s flower show. One of the biggest pruning mistakes is cutting off branches in the wrong place. 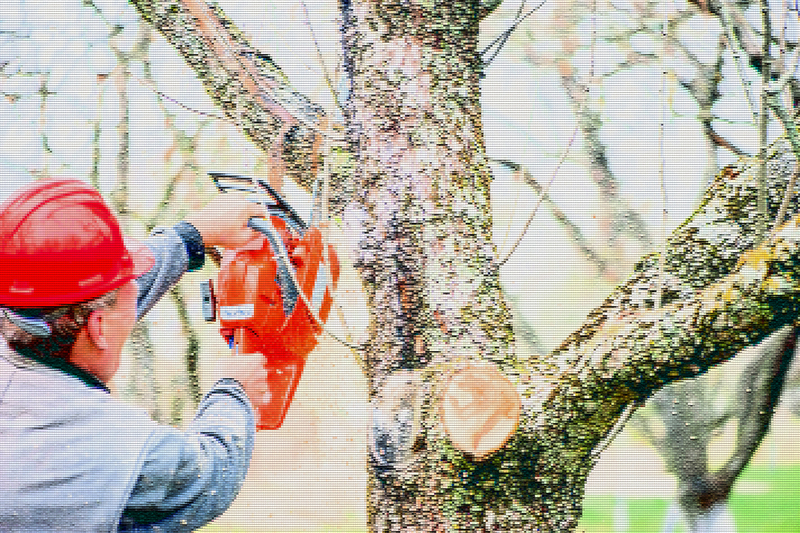 Amateurs tend to leave too much of a stub when removing branches. Once the stub dies off, it creates an entry point for disease pathogens and destructive insects. Unlike human beings, trees don’t regenerate tissue. While our skin replaces itself, trees grow new tissue around wounds and compartmentalize them. Once a tree compartmentalizes an old wound, it has a much better chance of survival. Efforts should also be made not to wound tree trunks with lawnmowers, Brush cutters and other machines. Trunk wounds create opportunities for destructive fungi. A natural defense system is built into trees, in the swollen area at the base of branches, known as the “collar” — right where the trunk intersects the branch. Flush cuts are important to make, provided you don’t remove the collar. Proper pruning cuts should be made just beyond the collar, without leaving a stub, but still leaving the swollen area. · About one or two feet from the trunk, make an undercut one-third of the way up through the bottom of the branch. Your saw will get pinched if you cut too far up. · Make your second cut completely through the branch from the top side, about three inches out the branch from your first. · This should allow the branch to fall away without tearing the branch bark into the trunk. · Keep it Safe – Never do tree trimming or removal work that should be done by a professional. Heavy tree branches can seriously injure you in a split-second! o Never use a ladder for trimming trees. This is asking to get hurt! Hire a Cherrypicker from ProRent up to 34’ @ $230.00 per day/weekend. o Be sure to properly “notch” a tree trunk when you are felling it. Kickback can kill you!